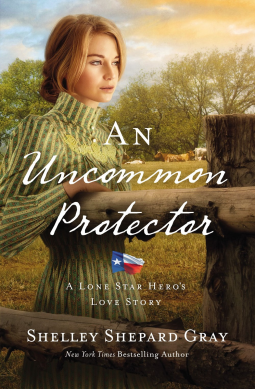 I thought the idea behind this story was a great one -- single girl with a ranch in danger hires a jailbird to protect the property. Obviously, her surrounding neighbors and townspeople think this is a bad idea. Lots of other things happen in the story: irritable step siblings who want Laurel to sell, a neighbor intent on marrying Laurel, sinister sabotage of the ranch and its animals... all make for a great story. However, An Uncommon Protector read kind of slow for me. I also found it odd that for that time period, both Laurel and Thomas were ok with him sleeping in a guest room. The book was ok...it just wasn't a 'couldn't put down' kind of read for me, unfortunately. Thank you to Shelley and Zondervan through NetGalley for sending me a copy to read and review!